Treatment includes a residual insecticide to window frames, door frames, cracks, crevices, soffit and fascia on the exterior, window frames, door frames, cracks, crevices, baseboards and attics on the interior. Treatments are generally done mid-August through mid-October in fall, and March-April in spring. Some overspray may occur on windows, so it recommended that window cleaning be done after treatment and only the window, not the frame. 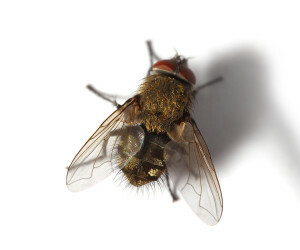 Cluster flies are not usually a health hazard. However, they are a nuisance, and are parasites on our earthworms.